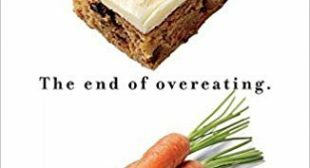 David A. Kessler, the author of The End of Overeating, explains very well how people become addicted to foods that are high in sugar, fat, and salt. Like addiction does, those types of food cause people to crave for more foods that are loaded with unhealthy ingredients. Because of that, people are instructed to stop eating food high in sugar, fat, and salt. However, many times, people forget to find healthy replacements. It’s left to you to do the research which is no simple task. As Michael Pollan says in In Defense of Food, scientists and the food media keep things much too complicated for the average person. This confusion keeps people trapped in a fat body. So, let’s boil this down. There are nutrient-filled foods that will keep you full for a long time and quite easy to find at any local grocery store. If you eat these better quality foods, you won’t need to overeat. And frankly, you may not be as tempted by the glazed donuts that Marcy brought into the office. Not only are bananas available year-round, but they are fairly inexpensive as well. If you reach out for a banana when you feel hungry, you’ll nourish your body and you’ll be ingesting way less fat and sugar. As long as you’re not eating 12 of them in one week, eggs are good for you. Eggs are an excellent source of protein and protein is the “real diet secret”. Foods high in protein will keep you full longer. In fact, a study showed that eating two eggs for breakfast helped women lose 65% more weight and decreased their waistlines 83% more than women who didn’t! Dr. Mehmet Oz might be the one responsible for popularizing the idea that nuts and almonds are such an important snack foods. Almonds are rich in monounsaturated fatty acids and protein. Just one handful of almonds will keep you full for a long time because they are great at suppressing appetite. Avocados are so misunderstood. So many people avoid them because they think they are fattening. I’ve been following The Biggest Loser Season 8 and I’ve rejoiced each time trainer Bob or Jillian advised the participants to include ½ avocado at lunch time because it contains good fats (monounsaturated fatty acids). Plus, they contain protein that will fill you up nicely. Not only can you add avocados to salads, but they are great as a spread on sandwiches and you can even add them to a smoothie! You can easily find peanut butter that contains only 100% roasted peanuts. You can also get the organic and non-organic kinds. In other words, there are no hydrogenated oils, sugar or salt added to the peanut butter. This is a healthy option compared to conventional peanut butter and the price is not much different. Peanut butter is full of protein and honestly, it’s such a convenient food. You can spread some peanut on toast or crackers and you know that you’ll be full for many hours to come! It’s true that peanuts are high in fat, but they contain mono-unsaturated fats which are good fats! I like hot oatmeal during the colder months of the year. 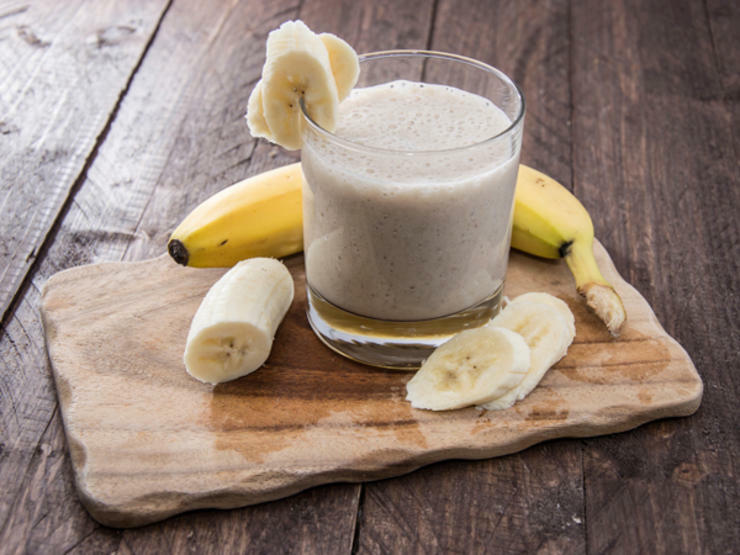 I’ll always grind a few tablespoons of oatmeal to include in my morning breakfast smoothie, too. Oatmeal is under-appreciated in my opinion. It’s a great super food because it’s low in sugar, high in fiber, and it’s so quick to prepare. It only takes 5 to 10 minutes to prepare your oatmeal and you’ll be full for hours after eating a bowl. 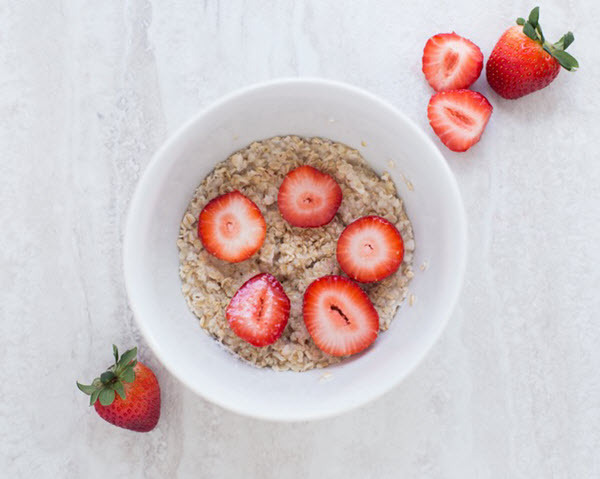 Here’s another great thing about a bowl of oatmeal: you can let your creativity run wild and you can top your oatmeal with pretty much anything! Apples are full of fiber. There is a reason why your mother told you repeatedly that “one apple a day keeps the doctor away”. Packing an apple for your daily snack will not only add one fruit/vegetable portion to your daily recommended intake, but the fiber will fill up your stomach. That way, you won’t be so obsessed with unhealthy food. 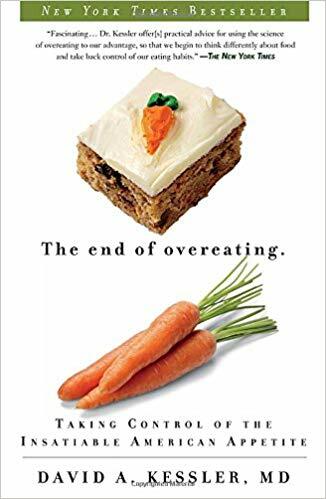 Written by Krizia, an international author of an acclaimed food guide and she’s also a former self-taught personal chef. Krizia’s approach to healthy eating is about keeping it simple, approachable and REAL! In June 2009, two months after launching Eat Smart Age Smart, Krizia was awarded with the nomination of ‘Top 200 Health Blogger’ in the Healthy Eating category by Well Sphere. The post 7 Healthy Foods That Will Fill You Up and Prevent Overeating appeared first on Dumb Little Man.